Birla Pacific Medspa is planning to set up 55 health care centers under the brand name ‘EVOLVE’ across the country. To meet the funding requirements, Birla Pacific Medspa Ltd. plans to raise approximately Rs. 65 Crores by way of Initial Public Offering of equity shares with Face Value of Rs.10/- at a premium to be decided later. Birla Wellness & Healthcare Pvt Ltd, a Yash Birla Group company has a Joint Venture Agreement with Pacific Healthcare Holdings Ltd, a company incorporated in Singapore and Dr. Abhijit Desai, to form Birla Pacific Medspa with equal shareholding between Yash Birla Group and PHH & its associate Dr. Desai put together. PHH is one of East Asia’s leading healthcare providers, with healthcare facilities in Singapore, Hong Kong, and China. The company proposes in India and abroad to do the business of beauty and healthcare treatments, health and fitness resorts, dieticians, yoga ashrams, saloons, hair and Skin treatments, Sanatorium centers, and to manufacture soaps consumables, oils, medicines, body sprays and scents, creams, powders, natural and artificial skin and hair conditioners. However, the company presently does not carry on the business of manufacturing of soaps, consumables. The company presently operates the healthcare centers under the brand name EVOLVE. As on date, the company operates three own EVOLVE centers in Mumbai at Walkeshwar, Bandra & Andheri and 2 centers on franchise basis at Thane and Chennai. 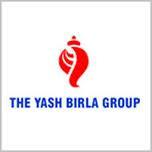 Yash Birla Group is one of India’s leading industrial groups. The major companies in the group includes Zenith Birla (India) Ltd, Birla Cotsyn (India) Ltd., Birla Power Solutions Ltd, Dagger Forst Tools Ltd, Birla Precision Technologies Limited (formerly Birla Kennametal Ltd), Birla Transasia Carpets Ltd, Birla AccuCast Ltd, Birla Electricals Ltd, Birla Lifestyle Ltd, Birla Concepts (India) Pvt. Ltd, Birla Shloka Edutech Ltd, Melstar Information Technologies Ltd. The funds are intended to meet the capital expenditure towards establishing 55 outlets of Evolve Medspa across various cities and places, meet expenses towards brand promotion and to meet the working capital requirements for running the above centers. The company has limited operational history and incurred losses in the period. The company has taken over Pachealth at Rs 410 lacs, for which there was no independent / out side valuation. The business is in preliminary stage of implementation. Birla Transasia Carpets is a BIFR Company and Birla Bombay is in the defaulter list of RBI. In the last 2-3 years, the group IPOs has performed dismally in the exchanges. Birla Cotsyn (FV Rs 1) is quoting at Rs 0.65 as against the issue price of Rs 1.20 (after adjusting to split) and Birla Shloka Edutec is quoting at Rs 18 as against the issue price of Rs 50, Birla Ericssion is shifted to trade for trade category. The proposed centers are not doctor led but technician led, which will lose acceptability in the long term with increased awareness among consumers. IPO grade 2 by Brickworks -the grading is constrained by delays in project implementation and poor financial performance of the Yash Birla Group of companies raising IPO funds in the past, Birla Pacific Medspa’s negative cash flows and losses, short history of two years of operations, full funding from IPO proceeds and project implementation spread over three years. The absence of funding or appraisal by a bank or term lending institution. The company reported a net loss of Rs 4.57cr for the 14 months period ended 30-09-09. The loss earned for the six months period ended 31-03-10 is Rs 3.28cr and for the nine months period ended 31-12-10 is Rs 3.68cr. The accumulated loss as at 31-12-10 is Rs 11.53cr. The book value of the share is less than Rs 9/- It will take couple of years to wipe out loss and come to dividend list. The shares of Yash Birla group are not fancied in the exchanges. A must avoid IPO. Twenty four out of the TOP twenty five brokerage houses had recommended this IPO at Rs 985/- Within six months of its listing the shares are quoting at 45% discount to its issue price. First Choice IPO had advised against subscribing to the IPO and had given sell call on listing. The stock is likely to come below Rs 300/- in the near future. International papers buys AP Papers. TTSL plans Rs 3000 IPO. Recovery in US- TCS sees uptick in pricing. Tech sector to grow around 20%. FIIs are net buyers on 29-03-11. AXIS bank to expand in Gujurat. ADAG, ESSAR named in 2G scam. India among the top 10 industrial nations. SKS completes securitisation of debts around Rs 600cr. AXIS, ENAM deal under RBI scanner. SRK, Akshay among top 15 taxpayers. Rejig at Bombay Dyeing / Wadia empire. NASDAQ - ADRS - INFY UP 2%, STERLITE UP 3% IN EARLY TRADE. FIIs and DFIs were net buyers on 22-03-11. SBBJ rights opens on 28-03-11. FII s are bullish on India - BS. GM Rao follows Buffett's footsteps, pledges Rs 1500cr for charity. BILT to list on LSE. Finance Bill passed in LS, service tax on health sector goes. Sesa Goa buys Bellary steel in all cash deal. DB Realty promoters pledge more shares. Sugar stocks up, on export clearance. Bajaj to produce small car along with Renault. Global refining margin to rise, on demand. RCom to offer free Web package. TCS, WIPRO, INFY and HCL to raise rates, on improved business environment. StanChart to pickup 3% stake in USE. TATA among the top 50 global brands. 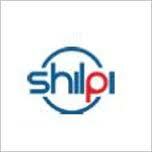 Shilpi cable IPO opens today. IPO ANALYSIS -SHILPI CABLE TECHNOLOGIES LIMITED – UNCLEAR AND LOW FREQUENCY- AVOID. The New Delhi based Radio Frequency (RF) cable manufacturer is entering the capital market to raise funds around Rs 56cr, in the price band of Rs 65-69. The company was originally incorporated in 2006, as Rosenberger Shilpi Technologies as a joint venture (50:50) with Rosenberger GmbH of Germany. On account of dispute between them, the 50% share of the Rosenberger was acquired by the Indian promoters in 2008. The company manufactures RF cables, low voltage power cables and cable accessories, cater to the telecom sector. CARE has assigned grade 1 to the IPO indicating poor fundamentals. The grading is constrained by losses during the past years, liquidity crunch leading to delays in repayment of term loan installments and high working capital utilization and relatively high gearing. The grading is further constrained by very short track record. The company has very limited operating history. The promoters could not get on the joint venture partners. The company had earlier defaulted to IDBI bank and the loans were rescheduled. There are, loss making group companies. For the expansion, no appraisal has been done and the expansion is fully funded by equity. The company operates in rapidly changing, highly competitive telecom sector. Dependence on imported raw materials, without any export potential. The debtors’ levels are high, indicating poor realization and tight liquidity position in the industry. The promoters / group are also into similar business there by causing clash of interest. At Rs 65-69 the company is demanding a PE multiple of 17, on its FY11 earnings, on the post issue capital of Rs 32cr, which is very expensive. The comparable listed companies in the segment are – Bhagyanagar India, which is trading around Rs 17 (10PE, FV RS 2) and Surana Telecom at Rs 15 (FV RS 5). The issue is irrationally priced. AVOID SUBSCRIPTION. Capital expenditure for expansion, 3G enabling tools, working capital requirements. MUKESH AMBANI ON BANK OF AMERICA BOARD. Raja's close aide commits suicide. Jyothi Labs buys 14.9% stake of A C Muthaih, in Henkel India. Hero Honda promoters raise funds by pledging shares to the extent of Rs200cr. JSW under IT dept scanner. TADADI Port (Karnataka) - GMR, GVK and jsw are in race. RBI's policy review meeting today. Benchmark AMC being acquired by Goldman Sachs Group for Rs 160cr. Rebuilding opportunities in Japan, ferrous and non ferrous metal stocks may rally. HDFC - India's only ethical company as per Ethishere Institute (NY). INFOSYS- immense opportunities for Finacle, in rural banking, government thrust on financial inclusion. Buy TCS at CMP Rs 1115. Target Rs 1257 by May 2011. PTC FINANCIAL SERVICES IPO OPENS TODAY, PRICE BAND RS 26-28. Corporate advance tax payment up by 30%. RIL pays 37% higher. Cabinet approvs GST Bill. Amendment Bill is likely to be introduced in LS in this session. Sistema Shyam TeleServices (MTS) plans IPO, crosses 10m subscribers. Rupee weakens - good news for software companies. Parsvanath to pay second instalment to Rlys for Delhi land deal. PTC Financial services ropes in anchor investors - HSBC Bank Mauriius Ltd and Capital International Emerging markets funds have been allotted 97,95,750 and 54,70,000 shares respectively, at Rs 28. CRISIL Report - raising interest cost and delay in execution to affect the performance of construction companies. MFIs including SKS may go in for CDR route. NIFTY may get support at 5450 level. Maruti rolls out 10-Millionth car, a sort of a record for auto maker. Crisis may cost Japan $200 billion. High inflation, high interest go hand in hand - RBI. SEBI ISSUES FINAL OBSERVATIONS ON CAIRN-VEDANTA DEAL. Nippon buys 26% stake in Reliance Life. SEBI seeks clarification on iGate-Patni deal. Vishal Retail changes hand. TPG and Shriram buys the firm for Rs 70cr. Suzlon promoters sells 2.25% of paid up equity. Lubrizol - $9 billion deal by Warren Buffet. Rejig at Mindtree - change in strategy. Infy,TCS, Wipro and HP in race for contract with Dept of Post. FIIs and DFI s were net buyers on 14-03-11. Market to open in the positive. ADRs - Infy and Sterlite (2%) up. Rebuilding of Japan - out look good for ferrous and non ferrous metals. BOJ injects record amount to the financial system. RBI MAY RAISE KEY RATES BY 25 BASIS POINTS, IN ITS POLICY REVIEW. GMR withdraws, to operate and manage, Ontario International Air Port, California. PTC Financial services IPO to open on 16-03-11. AV Birla in race to buy $3.2 bn Australian mining company - White haven Coal. Budget proposal to levy excise duty on branded garments may be put on hold. RelInfra expects more revenue from toll collection. Bharati Airtel not in race to buy Govt stake in Hexacom. Sharp listing gains of IPOs in a weak market raises eyebrows - BS. BOJ to pump in 2-3 trillion in funds through its market operations to ease liquidity. Reliance may gain from Japan's energy import surge. ADRs - Infy, Wipro and MTNL gains in Friday's trading. Gold may gain due to global uncertainties. RELIANCE MUTUAL FUND SCHEMES DECLARES DIVIDEND. Vision Fund (Retail and Institutional) Rs 4.00 per unit. Power Sector Fund Rs 1.50 per unit. Canara Bank plans major global growth. Gold may scale newer heights on global concerns. Bank of Japan pledges support to quake hit economy. PSU banks to improve delivery system in rural areas. Funds will flow back to emerging markets - Mirae Asset Global Investments. IPO ANALYSIS: PTC FINANCIAL SERVICES LIMITED - JUST ANOTHER NBFC WITH AVERAGE FUNDAMENTALS – AVOID. PTC Financial Services (PFS), an NBFC, is promoted by PTC India Ltd (PTC), the leading provider of power trading solutions in India, is a Government of India initiated Public-Private Partnership, whose primary focus is to develop a commercially vibrant power market in the country. PFS provides financing solutions for, companies with projects across the energy value chain. It is one of the few financial institutions in the country that provides both equity and debt financing, including short-term and long-term debt, as well as structured debt financing. With a focus on infrastructure development, the company offers an integrated suite of services including provision financing to, and make investments in, private sector companies in the power sector, including for power generation, equipment supply and fuel source projects. PFS currently focused primarily on power generation projects. PFS also provides fee-based syndication and advisory services as well as carbon credit financing against certified emissions reduction. The company is raising funds, to augment capital for further business expansion. Average RONW in the last three years is 2.71%. The company’s past financial performance is not encouraging. On a NW of Rs 635cr, the company earned a profit after tax Rs 25cr, for the FY10. Neither the company is in to exciting business. Just another NBFC, with the government backing, with limited expertise and financial products. The company is significantly dependent on PTC, the Promoter, for the growth. Volatility in interest rates affects the lending and treasury operations, which could cause the net interest income to decline and adversely affect the return on assets. The debt finance business is concentrated on a few borrowers in the power sector and if any of the loans to these borrowers become non-performing, the quality of the loan portfolio may be adversely affected. Other than the discount offered, there may not be any listing gains. SBI Capital Markets, JM Financial Consultants, ICICI Securities, Almondz Global Securities, Avendus Capital. Labels: IPO ANALYSIS: PFS PRICE BAND RS 26-28. PTC FINANCIAL SERVICES LIMITED - JUST ANOTHER NBFC WITH AVERAGE FUNDAMENTALS – AVOID. IPO RECOMMENDATIONS PFS, IPO NOTE PFS, IPO REVIEW PFS. ACROPETAL LISTS AT 30% PLUS PREMIUM. IPO ANALYSIS - PLAGIARISM IN PUBLISHING ANALYSIS.